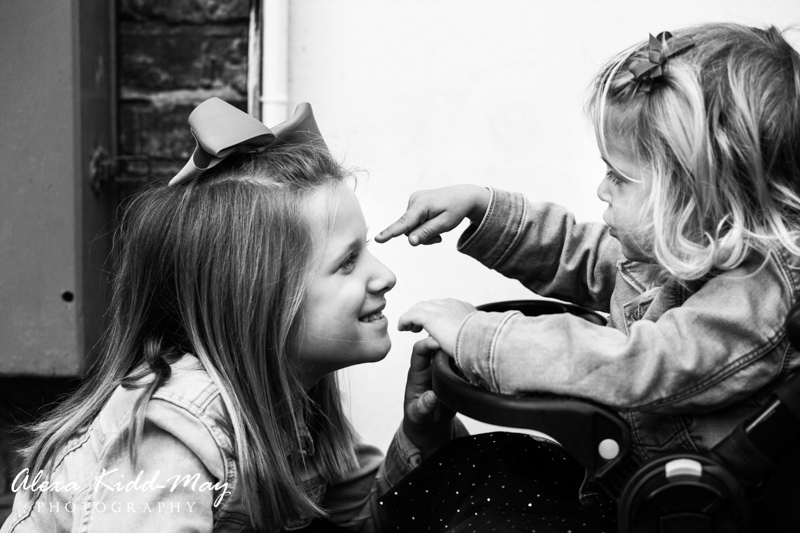 One of the nicest things about being a London family photographer is having the chance to photograph families more than once. 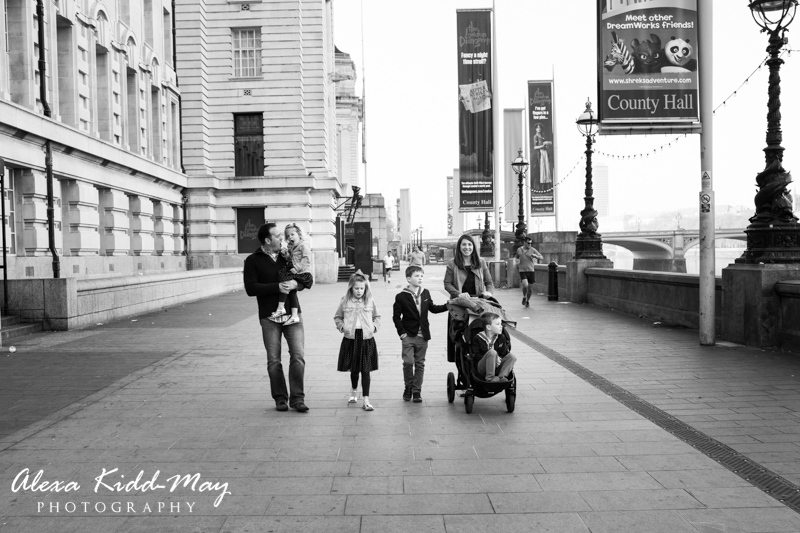 When Dave got in touch with his ideas for an extended family photography project I was immediately on board. He and his family had been living in London for a few years and were soon due to return to their hometown of Chicago, USA. 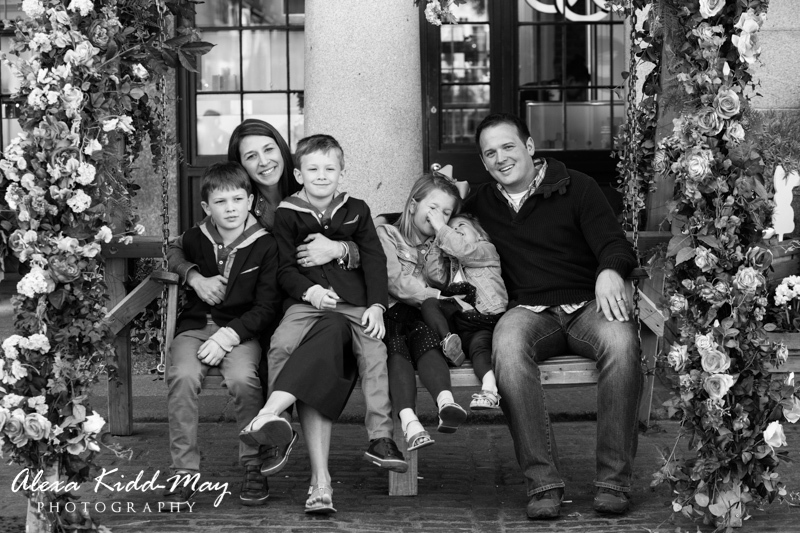 His plan was to document his family in all their favourite parts of the city. So in the years to come they could look back and remember their amazing London adventure. 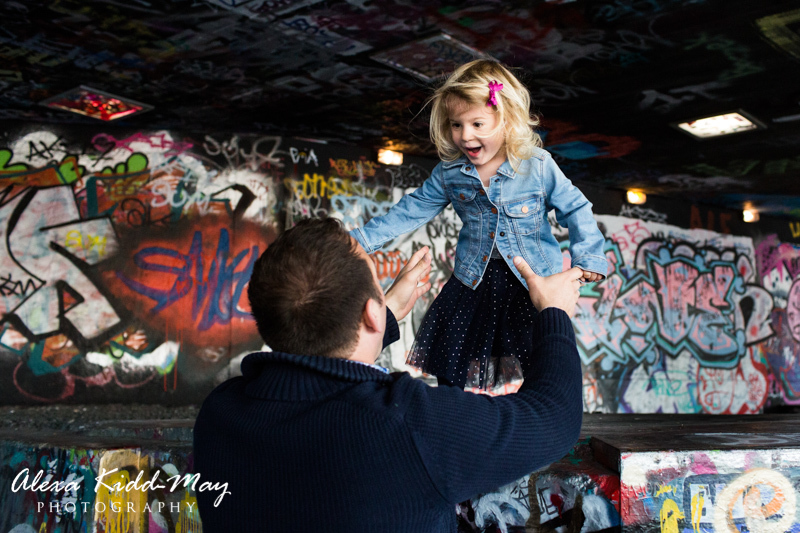 Dave wanted to have a collection of photographs taken at some of the more famous iconic landmarks in the Capital. He also wanted to include some hidden gems of locations in the photographs that only the locals know about. After chatting through ideas, we decided the best way to organise the project was to arrange three separate sessions. This way we could cover different areas of London with each one. 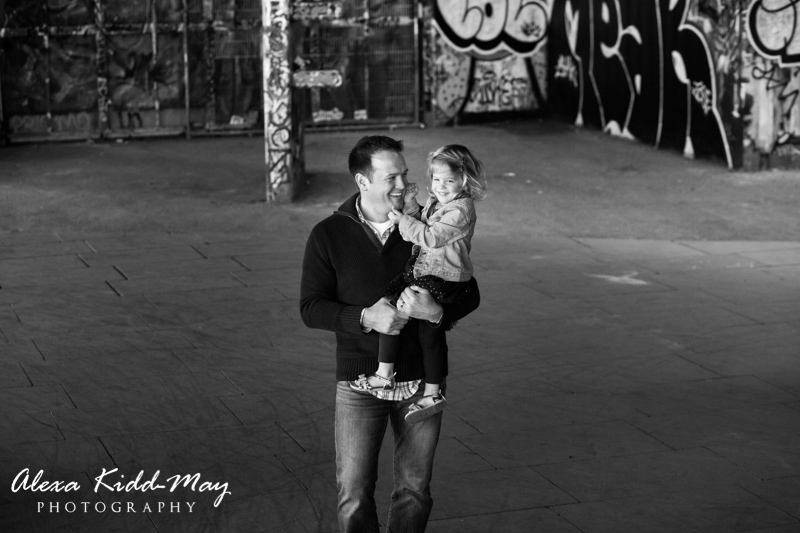 This would mean the shoots were never too tiring for his young children. 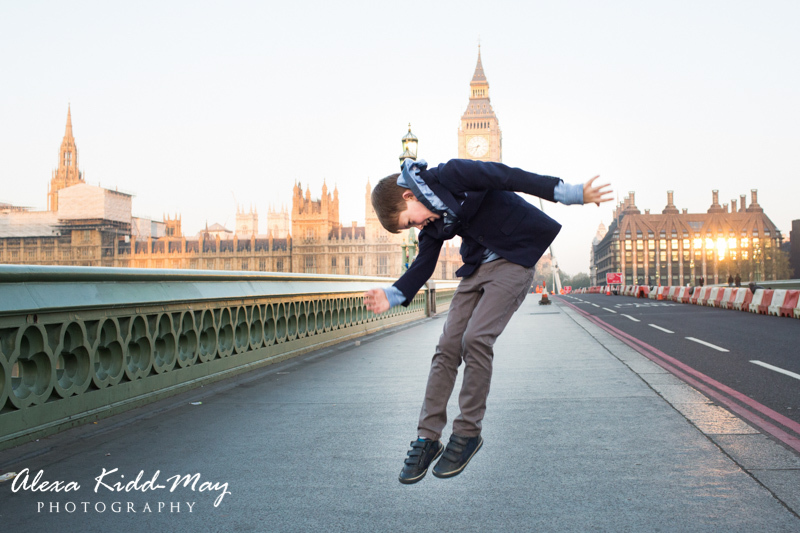 Also Dave was keen to have London to ourselves as much as possible, so we planned to start each shoot shortly after sunrise and finish before the crowds arrived. So back in April we gathered for the first time as the sun was rising over Westminster Bridge. Dave, his lovely wife and four charming children were all excited about the project, so we got started straight away. 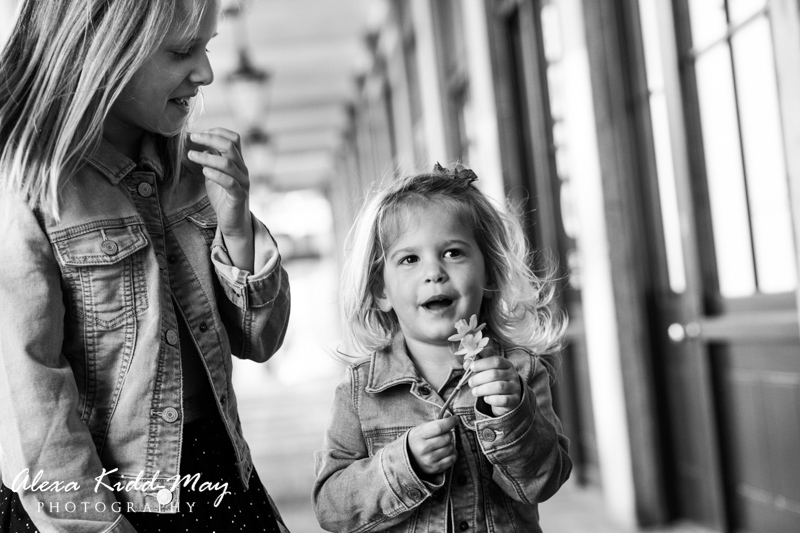 We chose to do a mixture of family portraits and more relaxed documentary family photography. This way we could capture his kids as they really were. 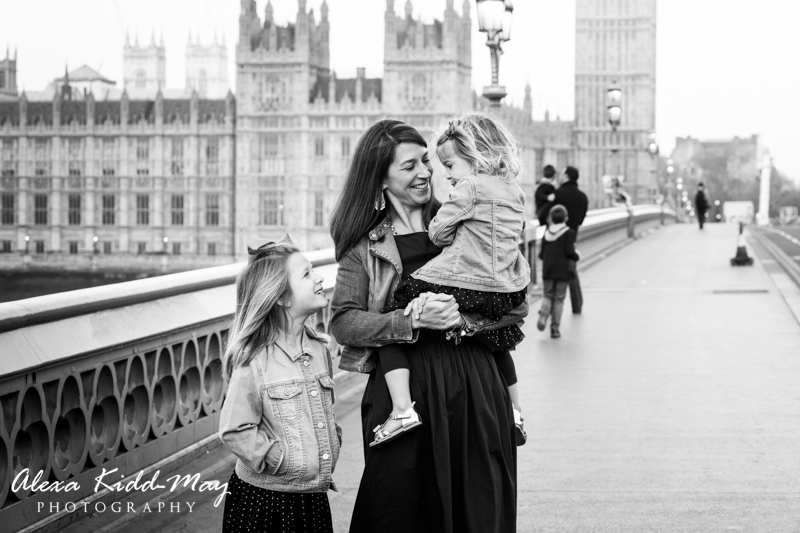 We began with capturing some lovely images on Westminster Bridge overlooking the Houses of Parliament. 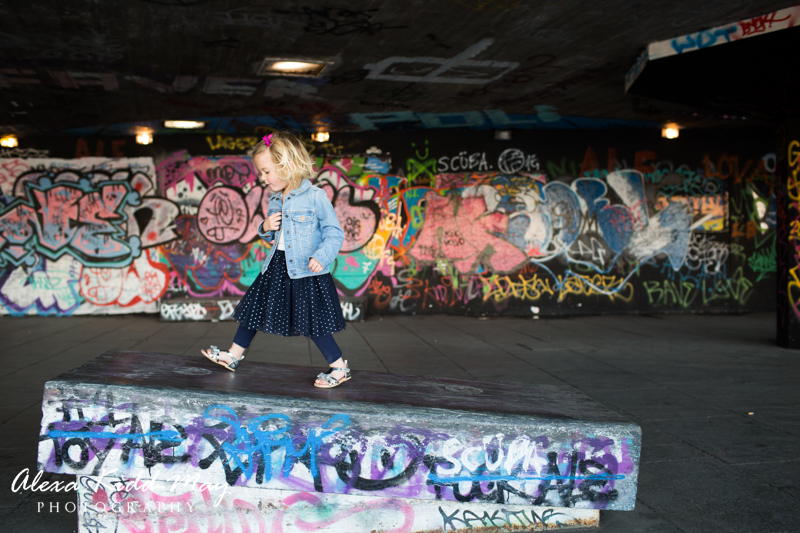 Then we made our way along the Southbank taking in the fantastic sites along the River Thames. 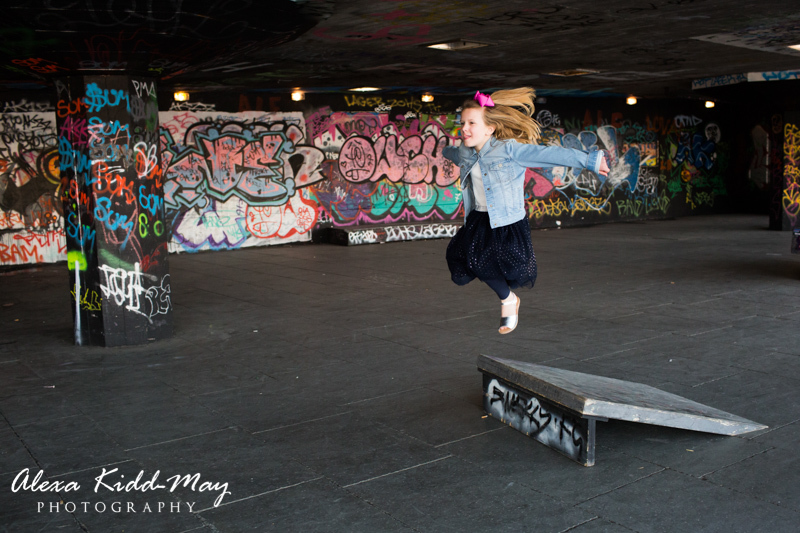 We also created a series of photos in the amazing skateboard park near the Royal Festival Hall. This was a place Dave had not visited before. 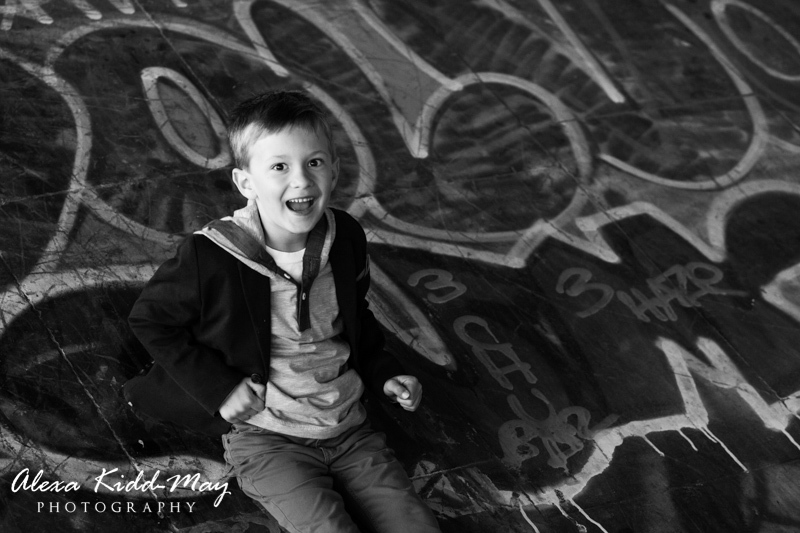 He was so happy we included it in the session as the kids loved running around in the space letting off steam. 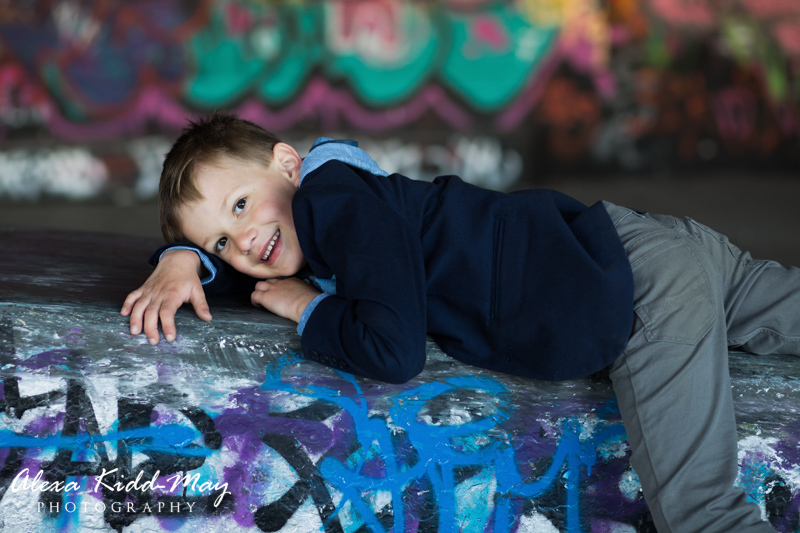 The graffiti on the walls made a superb backdrop for the photos too. We then crossed over the River Thames on the Golden Jubilee Bridge and made our way to Trafalgar Square. 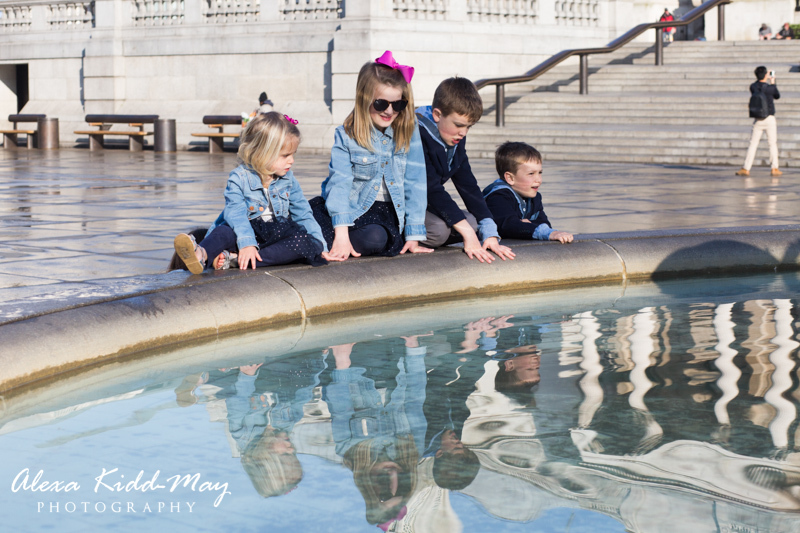 Here the kids had fun running around the lions and trying not to fall into the fountains! 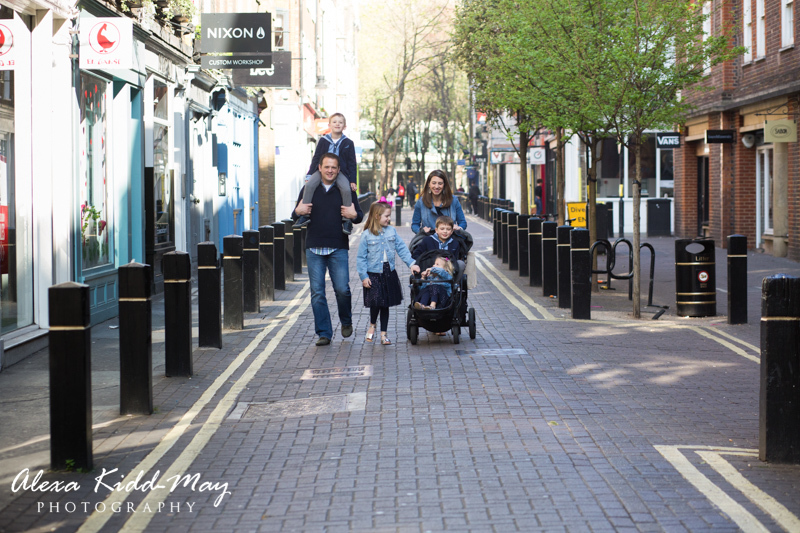 We finished off our first photography session in Covent Garden, one of my favourite parts of London. 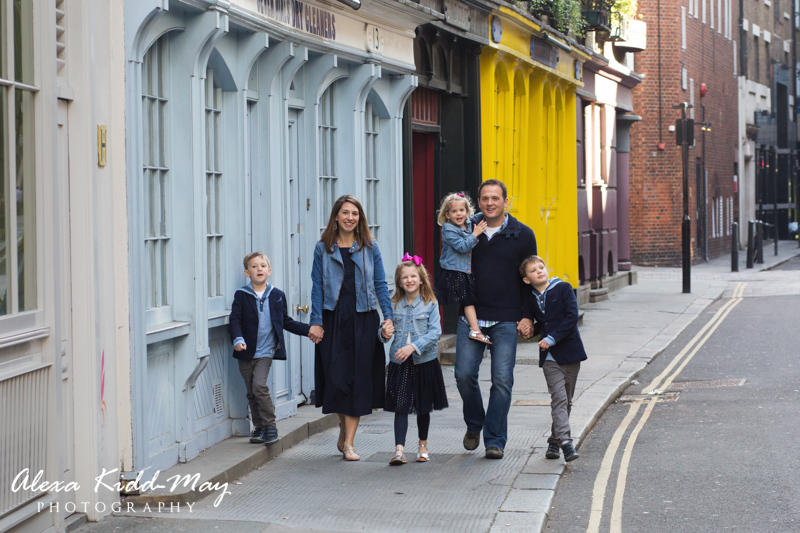 The streets were still wonderfully quiet so we captured some great shots in Neal’s Yard, Seven Dials and some of the other quirky little streets that Dave and his family love so much about London. 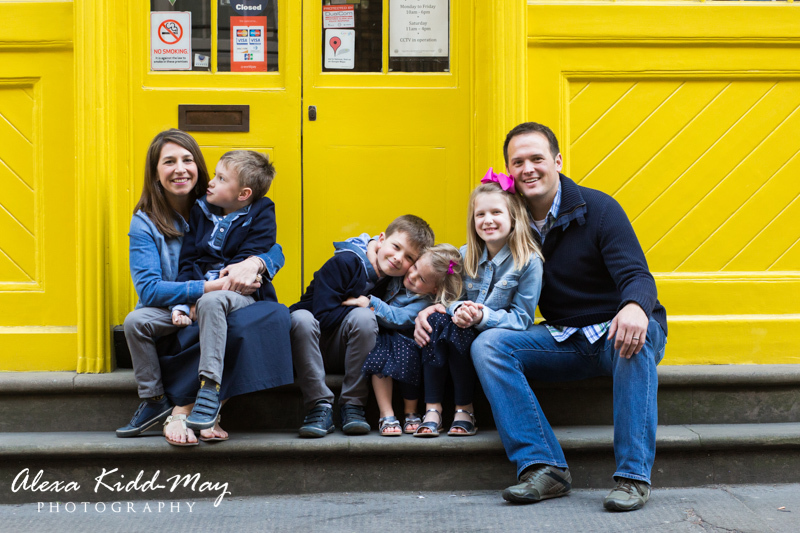 I enjoyed my early morning family photography session with Dave and his family so much, it was great to hear about their adventures in London and the life they would be returning to in Chicago. 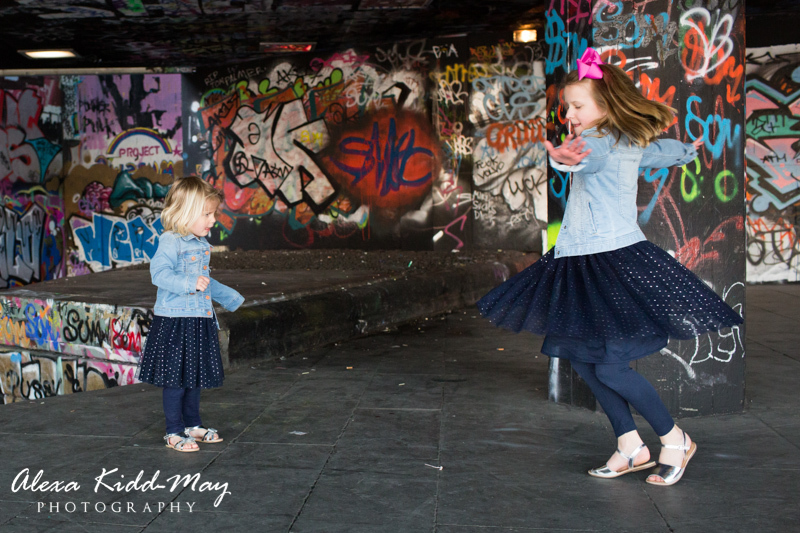 As soon as the photos were edited we started planning the second shoot – I can’t wait to blog about that soon….